Large number of letters is there in this font though the ligatures and special characters remain few. The letter “long S” is used in its primitive form. This font is used to decorate many web-site, greeting cards , and posters but a file is required to read them on keyboard. 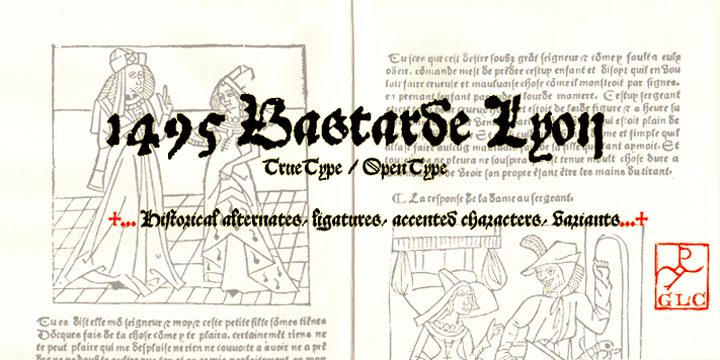 The most amazing thing about 1495 Bastarde Lyon font is in size 9 also it remains clear and convenient to read on screen, and is fabulous if printed. As it was used by lyon in 1495 to print Griseldi’s tale hence it is named as such.